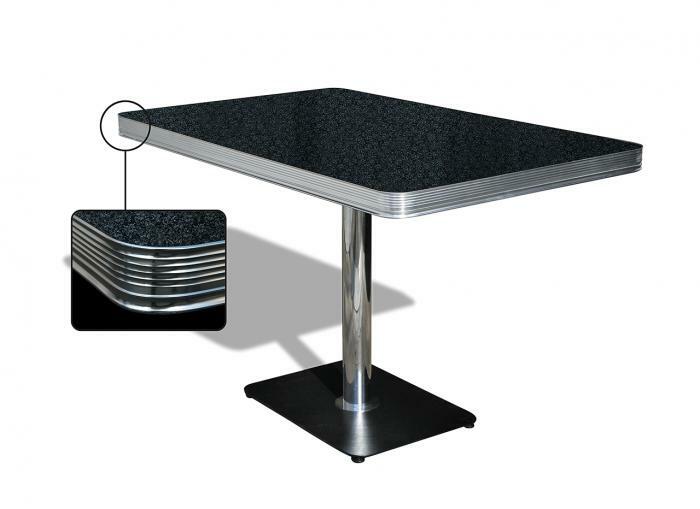 This contemporary table provides leg room for everyone due to its single table leg. 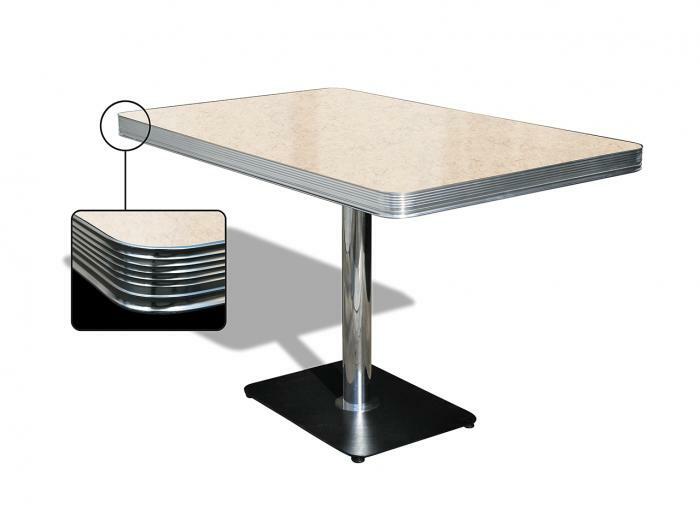 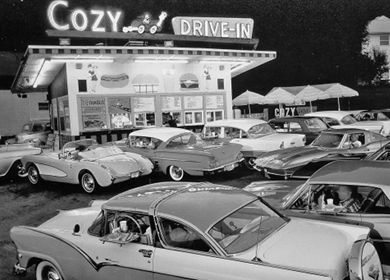 The TO-22 has a robust construction and is therefore suitable for a restaurant or café in the fifties style. 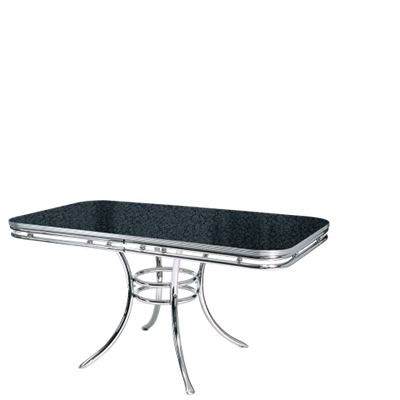 The chrome decorative rim around the table top gives this table a unique look.